Imagine you’re a fly on the wall at the ultimate tea party—VID (very important dolls) only, of course. A certain 11½-inch So Cal blonde is networking center stage; the American Girls have formed a circle and are working at various arts and crafts projects, while the Bratz pack are text messaging their boyfriends. But you can’t help staring at the doe-eyed redhead in the corner, trying to commune with the spiders (yeah, the party’s that boring…). She sighs, turns and pirouettes on her totally rockin’ peep-toe heels. And that was Miss Ellowyne Wilde. 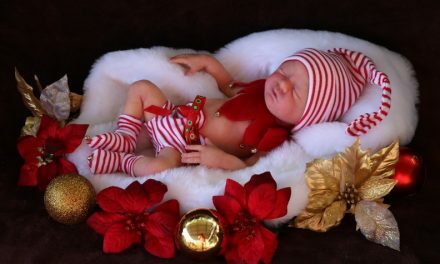 If you’re thinking this doll is quite unlike any you’ve seen before, that’s exactly what her creators at the Mullica Hill, NJ-based Wilde Imagination are hoping. 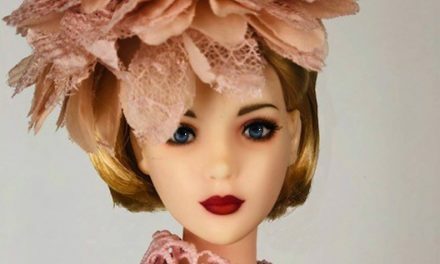 “We wanted to bring something different to the doll world,” says Debra DeForte, the newly formed company’s marketing and sales director. 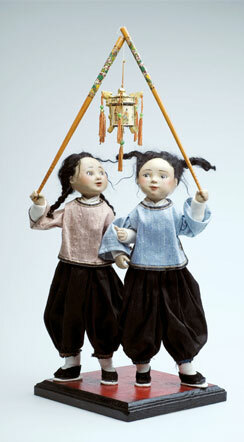 The company also wanted a doll who is of the moment, and definitely in touch with the times. “Ellowyne was inspired by Japanese anime, the fashion illustrations of Ruben Toledo, Steve Madden shoe ads in which models had digitally enhanced heads and feet, and any number of other pop culture references,” DeForte explains .A promising provenance, indeed. And it never hurts if you’ve engaged one of the doll world’s brightest stars to design your first line. Tonner concurs, completely. “It was a dream come true,” says the designer. “Complete artistic control!” Although, as it turns out, there was indeed someone other than Tonner pulling the strings. You know a Robert Tonner doll when you see one—and that’s a good thing. 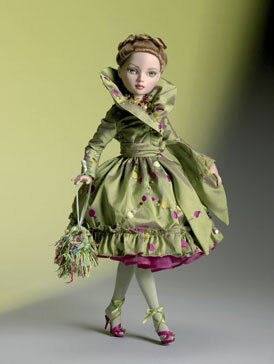 But when the artist set out to design his first creation for Wilde Imagination, he had to find a balance between his signature style and ensuring that Ellowyne remains “her own doll.” “I knew I wanted a totally different look, but at the same time, this was a doll that I wanted to sculpt myself, rather than hire another sculptor to do her, based on my design,” Tonner says. Just ask the more than 200 collectors on hand for our heroine’s unveiling at the Third annual Tonner Doll Convention in Denver this past August. 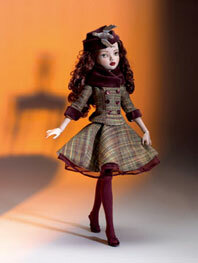 The first doll in the line, “Ellowyne Wilde: Her Reluctant Debut,” a limited edition of 350, sold out in just 24 hours. The reception was equally warm at the Doll & Teddy Expo later that month. “Collectors loved her beautiful face, and the amazing details in her outfits—and, of course, her storyline,” DeForte reports. The company is betting that it’s not just doll aficionados who’ll fall in love with this truly unique character. “Ello­wyne’s story will bring her to a broader audience; perhaps anime collectors and younger collectors who love fashion and can relate to her sullen personality,” continues Deforte, adding that the company plans on selling the line direct to consumers via mailings and an e-commerce website (www.wildeimagina tion.com). Collectors can join the company’s mailing list via the website or find her at FAO Schwarz, the only re­tailer to carry the line. “My hope is that Ellowyne will appeal to all those people out there who, at one time or another, didn’t understand the world and didn’t feel that they fit in,” Tonner notes. Besides, when you look that good, how bad can perpetual boredom and endless sighing possibly be?